So you want to live with passion. Purpose. Joy. You desire intimacy with God. You long to see Glory in the mundane. You want to leave a legacy of righteousness, faith, strength, and lavish grace. Insufficient for these things. In all this whole wide world full of brokenness and pain and doubt~ yes, even evil~ we can grow discouraged. We can settle for less than all out living unless we remember our hope: Christ in us, the hope of Glory. We have the hope of Glory! God still shows up. He still draws near to the one who calls. He takes ordinary lives, days, mommy moments, and He does overwhelmingly more than we can think or imagine. His grace is sufficient and the whole earth is still full of His Glory. I have a passion to see that Glory, every day. To taste, touch, behold, relish it … and point others to it. I have a passion for my children, my community, my nation to be radically set aflame by it. And I have a passion for this blog to be a Blazing Center that reflects Glory and points others to it. You can read more about me and my family here or browse the most popular posts below. To read the latest articles, simply click the “Blog” category in the navigation bar at the top of this page. You can do this at any time during your visit. But first I’d like to extend a personal invitation? As a subscriber (it’s free!) you’ll receive a weekly note from me, packed with inspiration. 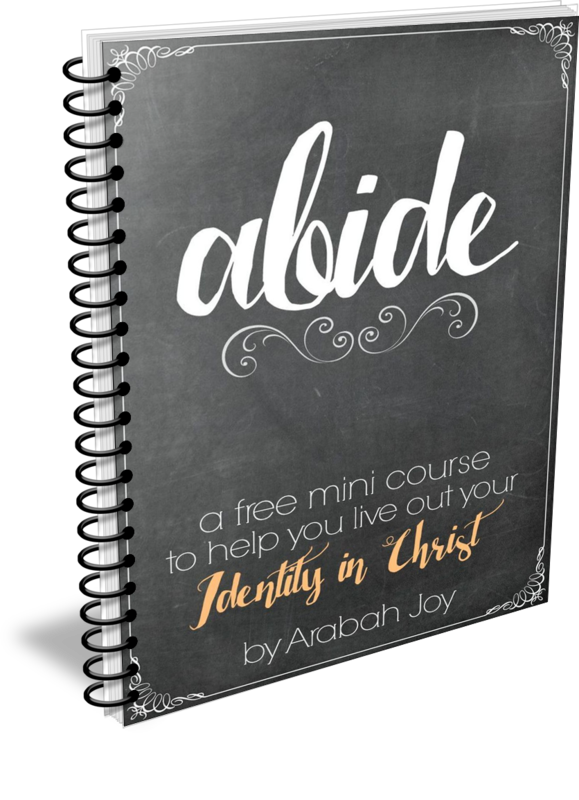 You’ll also be the first to know when I release a new book or resource and you’ll receive freebies like The ABIDE mini-course. It’s my way of saying thanks for being part of the community. Just want to thank you for the Abide mini course. Although just on second day, I have gleaned so much. Currently I am struggling to overcome being at a stand still in my walk with God. A simple thing I did while going through day two, was to personalize Colossians 3:1-3(replacing I or me).i struggle with listening to Satan’s lies and deceptions, I can tell this will help me. Thank you for for your ministry. I am so blessed in general with your blog and your amazing testimony on this scale and platform and being yourself , so unpretentious….. I love God in you! The first book in the bible I ever read was the book of Job. Love it still. Excited to be a newcomer..how cute is your personality!! I know we’ll be fast friends! I LOVE learning about all things Jesus and glorifying Him through this journey. Blessings to you and God speed! I’m so excited about this. For the knowledge and the fellowship. Thank you for what you do. I look forward to a long friendship. I lost my husband sixteen months ago, and after almost 46 years of being married to my best friend, I am broken hearted and having a difficult time being single. Thanks for your inspirational and motivational materials! I’m working on the creation of my prayer room! Thank God because you made my life complete for giving me a chance to be part of this activity.I want to know more of Christ. This fine was of God. I was becoming so discouraged with my constant failures, but God through his love and mercy, gave me this page. I’m so blessed. May God bless you mightily in Jesus Christ our Lord. Well, I’m happy I stumbled on this site. I’ve just been blown away by all I’ve been learning and it’s a joy to come to here. The spirit of the Lord is working on me through this site in very profound ways. Now I say Amen to God’s promises and no longer to my problems or my imperfections. Praise Yahweh! Praise the Lord! Thanks for stopping by and leaving a comment! I am in the midst of getting a divorce to a man who has lied and used me for years. He went to work in Texas about three years ago and started living with another woman 20 years younger after about six months there. As soon as he started back home from his job last April his employer fired him. Now he has been without a job since. He has used me for money and everything else material wise. We have been married since 2007 both in our late fifties. I was willing to take him back. But he went to Texas before 28 of December. I have prayed for everything. But now I have got to try to pull my life together. I am weak. A mental and physical wreck although I work over 40 hours a week. I need to learn to pray better. I have ask God to help me. To make me stronger to not go back and let him do this to me again. I am begging God for the strength to be a strong woman in this situation. Do not despair as I too was married to my ex husband for 35+ years and finally had the courage and strength and lots of prayers to finally ask for a divorce. Mind you that he doesn’t have another wife somewhere else in another country or state but his alcohol felt like he had another wife. For the 35+ years I have tried everything from nagging to not saying anything at all but the lies and manipulation I could no longer deal with anymore. For the last 5 years of our marriage I struggled with the decision to leave him for good as I had left him twice before and even warned him that if I left him a third time that I wouldn’t be coming back to him no matter how much he begged or professed his love for me. His alcoholism killed whatever love I had for him plus I lost all respect for him I have become closer in my relationship with God and Jesus Christ and have a new husband to be that puts God first as well. Although I don’t go to church regularly… I don’t believe in my heart that you have to go to church regularly to become a better Christian person as my immediate family members were/are Catholics and believed in going to church every Sunday as well as holidays but when my late mom was dying… she questioned all of the time “Why am I still suffering, why did that lady from my church die and I’m still suffering here, is there a cure for what I have”? I had to ask her more than once ” Where’s your faith”? I know that God has plans for all of us, I know that after my mom passed away, I was so lost and despaired so much that at times I thought about taking my life. But all along the past two years that I’ve been going through tremendous amount of personal trauma, I kept praying for strength, courage and mercy from God and think about how he gave up his only son Jesus Christ for our sins, how sad God must have felt when they nailed him to a cross like a common criminal. I have lost my faith and trust in people but struggling every day to become a better Christian person. My husband to be gives me a lot of spiritual inspiration and is always there for me, always has my back as well as I always have his back. Yes I don’t go to church regularly but try to read from our bible and read devotionals and inspirational websites online all of the time and my husband to be already sees a difference in my attitude and personality. I believe in the saying that I have heard many times that God only gives what we can handle. My prayers and thoughts go out to you Debbie. Need prayer for my marriage my husband has left and wants to leave the church. Need restoration for our marriage and our love for THE LORD. Hi AJ ~ I just found all of you~ on pinterest and just reading the comments feel very blessed to be here!~ I will keep you all in prayer! God is amazing and if it helps Philippines 4:13 was a huge help for me when I was going through a rough patch(divorce) several years ago. I am now remarriedgoing on 20 years and blessed w/ 2x the number of kids and 16 grand-kids! God is amazing – truly~! Praise the Lord! Thank you for sharing that word of God’s faithfulness! 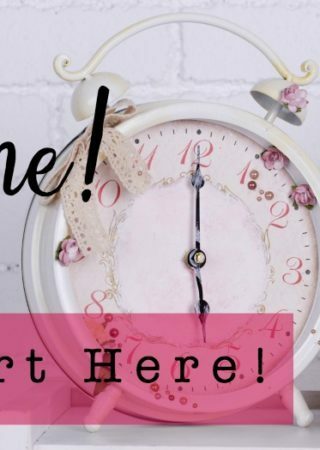 Hi, I saw The Loft on Pinterest, and was seeing that you needed a writer/blogger. I am interested. I want to start a prayer journal.finding your pin on pinterest was a good timing. Thank you. First off, I like your name because it’s different. I stumbled across you on Pinterest some months ago and have been trying to keep up with all of your blogs, etc. Something deep inside of me led me to go on Pinterest last night and so I did. You don’t know how eye opening and refreshing it was. I signed up to get blogs and join the community. I have been praying for God to fix what is broken in me and to heal my hurting heart. I’m also praying for Him to prepare me to be a wife. There are a lot of things that I as a woman don’t understand, but I’m willing and eager to learn. I don’t want to take up too much time, but I know that it was God who led me to your site. I have so much that I would like to tell you, but I know you are busy. Keep inspiring us, women like me need you. Welcome to the community, CJ. It is a pleasure to have you here. I know the Lord is working in your life, preparing you to be a wife and growing you in your relationship with Him. Don’t be discouraged! He is doing things you cannot see. Thanks for being part of this community. 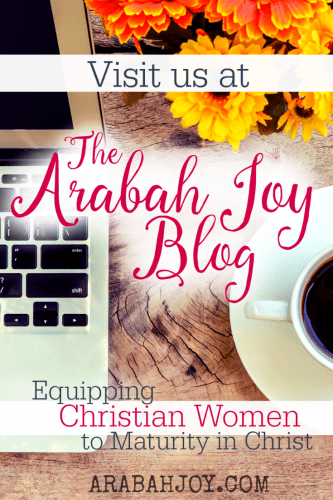 Arabah, thank you for your faithfulness to our Lord Jesus. 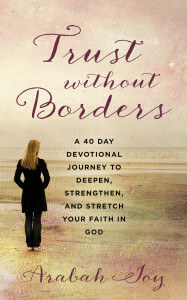 I have been wanting to start a prayer journal and also to start praying intentionally. I have 6 people who live with me and my husband. My daughter, her new husband and my granddaughter. My husband’s son, his son’s mother and sister. We are all believers and so as you can imagine there is a lot of praying going on. I need to learn how to pray more focused prayers and I think the Lord led me to you. I am excited to see what new things He will teach me thru you and your site. God bess you and your family. Kathy: I have issues with prayer (I always feel God is too busy with more important things than me) so it is a constant key, I feel, for my spiritual growth. When I read that you are wanting to develop more focused prayer I immediately knew that what I heard tonight on the radio might speak to you. It certainly spoke to me. I heard two Catholic priests discussing prayer and one stated that there should be silences, that we should spend some of our prayer time listening. It was like a light went on for me! And then to perhaps instill a little lightness or levity I recall that to state it another way he said that we shouldn’t spend all of our prayer time “yammering on”!! It was cute the way he said it, maybe you would have to have been there! I do so hope that I have helped. So far I’ve done Day One and Day Three of the ABIDE mini-course, and loved them! I’m sure I would love Day Two as well, but for some reason, I didn’t receive it. It’s not in my junk mailbox either. How can I get Day Two of the course? Thank you for sharing your insights from the Lord with us. Love your posts! I just found on Pintrest this site and have been reading other’s comments. I so love the Lord and praise Him for all he has walked me through in my lifetime. He managed to get my attention late in life. He has blessed me with the most wonderful love I have ever know (His first and now the most wonderful, unconditional loving man in the world. He has given me an incredible Christ filled family so full of love for Him and for me, that replaces children estranged from me for reasons I can not understand or know. I am interested in experiencing the ABIDE mini-course. I pray for a closer walk with my Lord daily. Currently doing Discerning the Voice of God study. I just turned 80 and have had the most incredible 16 years (soon to be 17 yrs) married to the greatest love of my life on this earth. 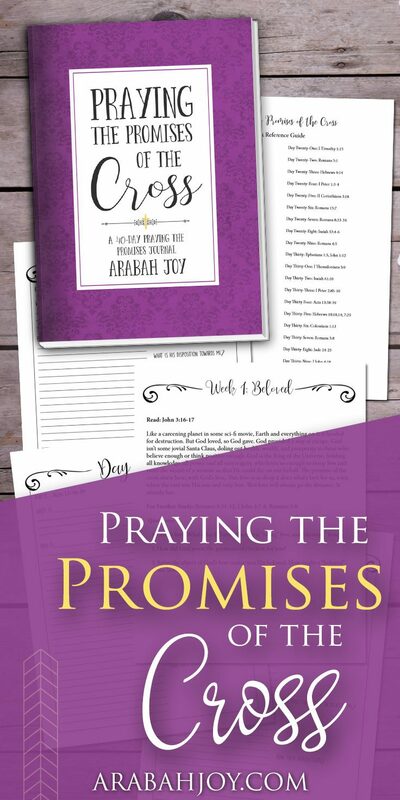 God bless you in your ministry..
Hello… Please forgive me, I’ve just signed to do the 40 day challenge! I’m new to doing something like this online, I’ve visited your sight on several occasions & finally signed in!! I’m not very savvy doing technical stuff so please bare with me. 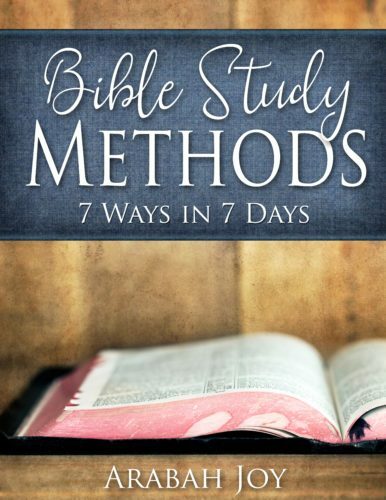 How do I get the 40 Day Challenge Book & the Abide book too? I can’t wait! It should arrive in your inbox. If you don’t see it, check your spam or promotions folder. I look forward to learning more about God through this group. Ran across you in Pinterest! You intrigued me….you are in Asia… a Christian…. incognito missionary! But what drew me was the Holy Spirit … there is something here… in your blog…. truth… peace… the One True God. I look forward to reading, as often as I can… what our God has laid upon your heart. I live in a small town, in the US, where , ironically, neighbors do NOT know each other. Thank you… for being here, my sister in Christ…..
Hey. My name is Diana. I’m from Ukraine. I want a close relationship with the Lord. I want to get to know Him even closer. I need your help. Maybe you have some resources that can help me to know Him.